WEIRTON — Final preparations are under way as the City of Weirton plans to light up the night Saturday, helping to kick off local holiday festivities. 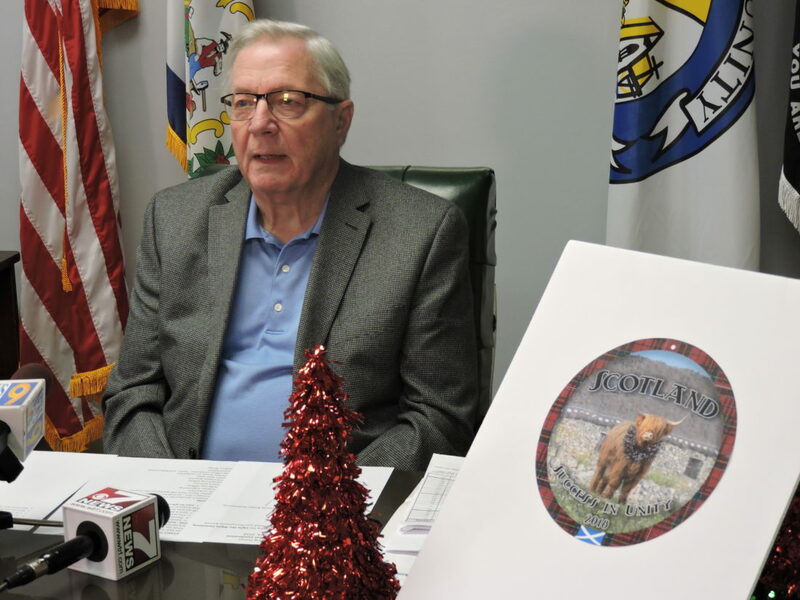 Mayor Harold Miller, on Wednesday, reminded residents of plans for this year’s community tree lighting ceremony, set for 6 p.m. Saturday at the intersection of Main Street and Pennsylvania Avenue. This is the third year for the tree lighting event, which Miller said was inspired by celebrations in Weirton from years before. “It’s been so popular, I get more calls about this than anything else in the city of Weirton,” he said. As part of the festivities, there will be musical entertainment provided by the Cove Chimers, Kelsey Ohler, Striplight Community Theatre and De Ja Vu. There also will be hot chocolate, cookies and popcorn provided by Granato’s Deli, and grilled cheese and jelly beans from Renaissance Weirton. It will be capped off with the lighting of the tree and a fireworks display. “It started out as just the tree, and it’s grown every year,” Miller said. The evening also will see the first distribution of this year’s Success in Unity ornament, organized by Renaissance Weirton and sponsored by Nathan Mazur of USI Insurance Services. The ornament, the second in a planned series, represents Scotland, with images of a Scottish countryside and a thatched roof cottage, a highland cow with a wreath of thistle around its neck and a border of the official Scottish Tartan. Sponsors for the evening are Iannetti’s Garden Center, which donated the tree in memory of Nick Iannetti, Granato’s Deli, USI Insurance, the City of Weirton, Thrasher Engineering, Guida Law Offices, Assure America, Gurrera Law Offices, First Choice America Community Federal Credit Union, Nick’s Auto Sales, Frontier Group of Companies, Law Offices of Dittmar Taylor and Makricostas, ArcelorMittal and Bubba’s Wings. Miller also noted plans to decorate Cove Commons for the holidays, with caroling from Stiplight Theatre to be held 5:30 p.m. every Friday through Christmas, beginning Nov. 23.